Zhangjiagang AAA Bearing Co.,Ltd is located on the side of Yangtse River,in the beautiful and rich Golden Delta of Southern Jiangsu Province.It's near Zhangjiagang international port and Zhangjiagang Free Trade Zone,Which has convenient geographical position and advantageous economic environment. The company was founded in 1968,which is a joint-stock enterprise which can supply the designs,the products and the services in bearing business. Now its assets has reached RMB 250 million,There are about 1,500 staffs,over 200 technicians and engineers among them.The company owns excellent technology,strong technical term, superior machinery-equipment and perfect test system.The main products of the company is deep groove ball bearing, self-Aligning ball bearing, spherical roller bearing, tapered roller bearing,cylindrical roller bearing and thrust ball bearing,there are six main series,about 1200 specifications. 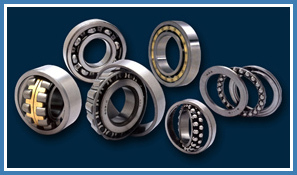 The company has made cooperation with institute and college,could design and produce variety of standard or non-standard bearings.It has formed a capacity of 20 million-unit bearings and about RMB 300 million production volume per year. Through the modernized scientific management,the reform of technology and the unremitting strive,the company is developing at all times,It passed the certification of ISO9001:2000,ISO-14001and QS9000.It was awarded “JIANGSU NAME BRAND”,and passed Perfecting The System Of Inspection Measuring And Test in 2002.